Constructed from recycled and recyclable tough corrugated board, these robust and easy to assemble filing products are designed to protect files whilst permitting quick and easy retrieval. 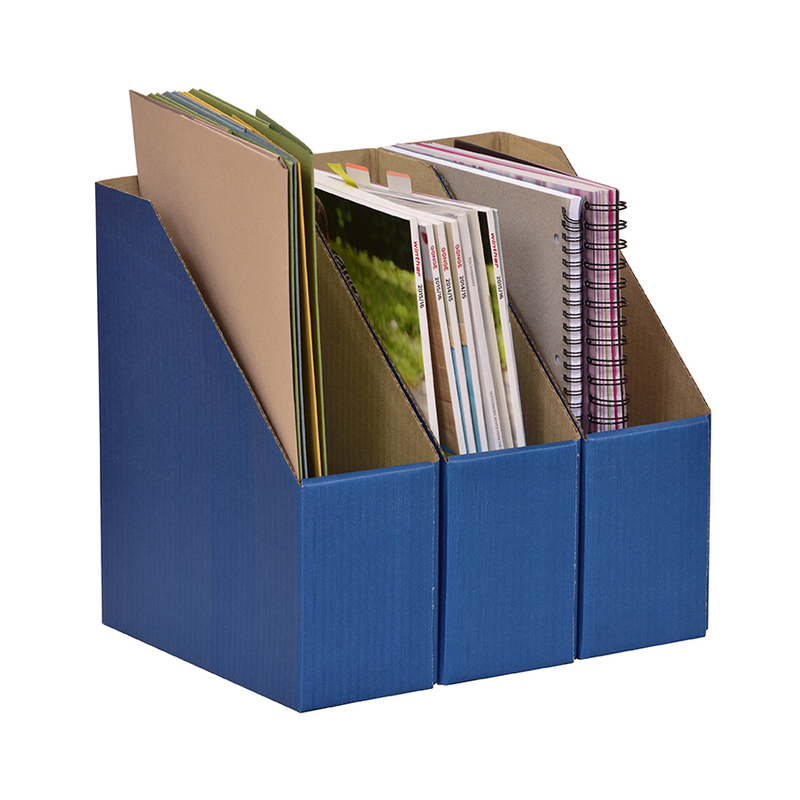 Tough corrugated fibreboard A4 Library Boxes available in Blue. Supplied in fold flat form ready for quick assembly. H300 x W105 x D245mm.